Have the best vacation and let Orlando Baby Rental™ make your stay even more comfortable since we can deliver all of your baby rental essentials in one delivery and simply pick up when you are done. 1. 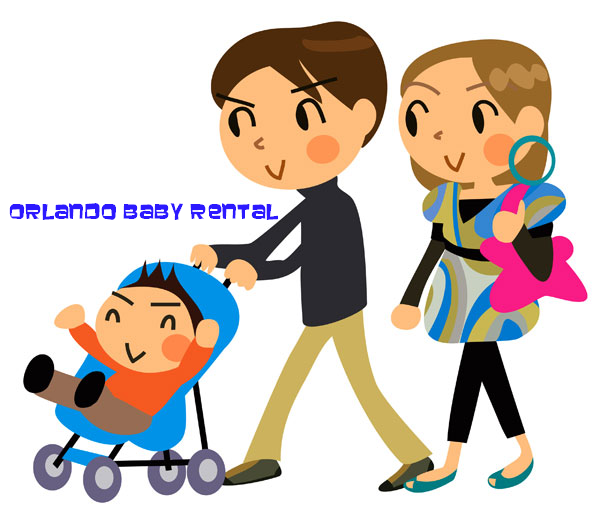 We are less expensive than renting a car seat from a car rental company and we offer non-recalled models. 2. We GUARANTEE the availability of car seat and will be reserved for you when you arrive. You don’t have to worry that the airlines will loose it, destroy it or the car rental agency will be oversold. It will be also cleaned with non-toxic cleaning products ready for your children. 3. We will meet you at the airport, car rental agency or other suitable location that works for you at the times you need. 4. We rent infant, toddler and booster car seats that are name brands, in new to excellent condition cleaned and sanitized between each use. 5. You can be more relaxed while you travel, not have to worry about carrying heavy car seats between terminals, through security checking points or filing a claim because its lost or destroyed ! + We will take care of other baby equipment you would need for your children on your trip. (Crib, stroller, high chair, …! We can also provide diapers! Just let us know and we will be there for you! Posted in: Vacationing in Orlando. Tagged: baby equipment, baby rentals, rent a baby seat. Copyright © 2015 Orlando baby rental. All rights reserved.